Pharmacy Benefits Managers, or PBMs, act as the representative between the employer and everyone else in the healthcare system to process prescriptions. We use a 100% Pass-through PBM. Traditional PBMs make their money through up to 42 different revenue streams including Mail Order, Spread and Rebates in addition to many other techniques. 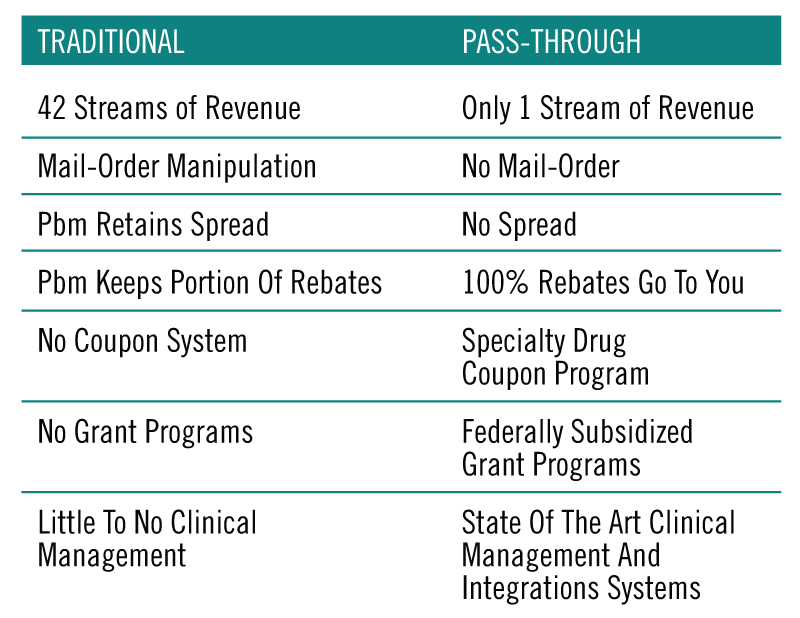 Transparent PBMs make money through up to 16 of the 42 revenue dtreams that traditional PBMs use, but have more restrictions than traditional. Pass-Through PBMs make money ONE way. This is an administration fee and pass 100% of the savings on to the employer.